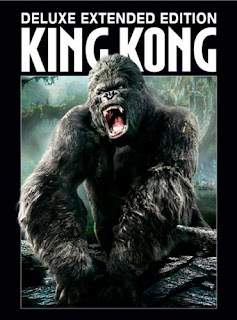 Academy Award winning director Peter Jackson brings his sweeping cinematic vision to King Kong. Get ready for the breathtaking action in this thrilling epic adventure about a legendary gorilla captured on a treacherous island and brought to civilization, where he faces the ultimate fight for survival. I absolutely recommend this film to everyone, this is a great family film from beginning to end. When I bought this film, I honestly bought it as something to put on before I go to bed to get sleepy. With that said, the complete opposite happened as I got so into this movie. In addition I found that Jack Black did an outstanding job. I give this film a firm 4.5/5 "Roos"